Small businesses are becoming more efficient to run each year. What used to be a complicated mess of planning has turned into a simple, streamlined process. 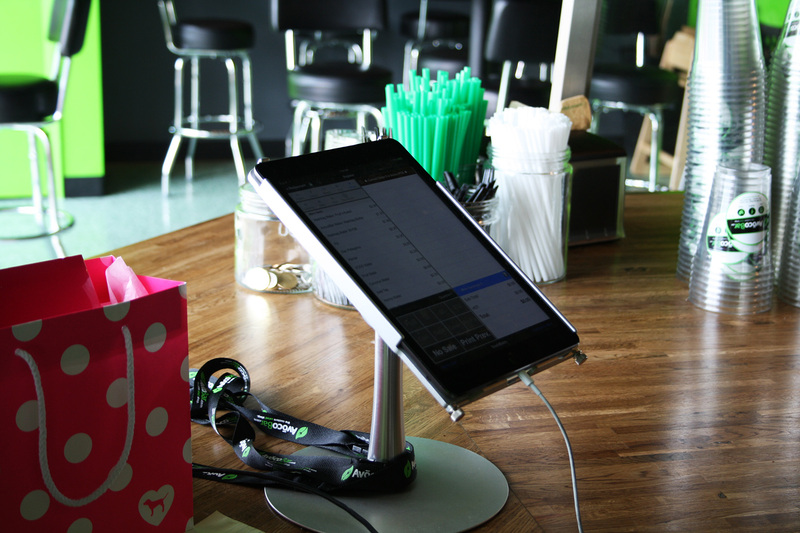 The integration of tablets and payment methods such as Square have created new paths for entrepreneurs to make starting up a little easier. Avocobar is a great example in this new generation of start up businesses. They are a salad bar that recently opened in the south end of Barrie. Owner Keni MacLeod has implemented a few key elements into the business, creating not only a more organized atmosphere but also an efficient workplace for the employees. 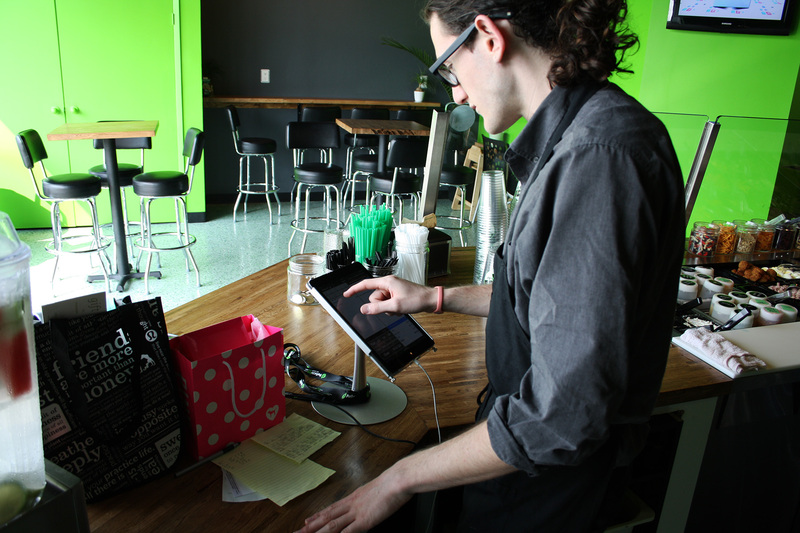 The main POS system is an app called Touch Bistro installed on an iPad Air. The app can be used for free but requires a license to access premium features, such as printing or e-mailing customer receipts and publishing a menu on the web. Touch Bistro also keeps a log of time clocks for employees and stock levels. This simplifies the process for all employees since everything is done through one unit. Having a separate time tracking device, inventory system, and POS is more to learn and more money for training. 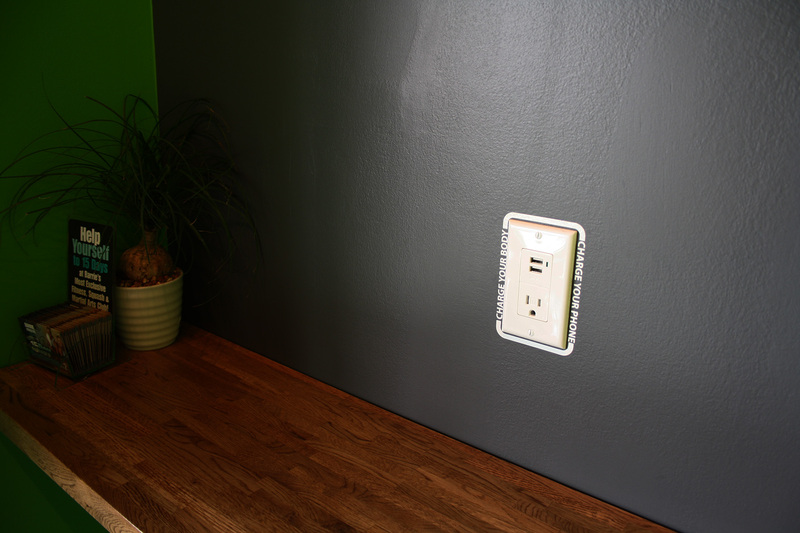 Another unique customer service driven feature are USB wall outlets located throughout the seating area. Customers can bring a USB cable with them for lunch and charge up while they enjoy their meal. Most restaurants hide power outlets altogether. Providing a way to recharge a mobile device adds value to the overall experience and costs very little to implement and run. Camera systems are also installed in specific locations to monitor portion sizing and customer interaction for training purposes. They can be viewed remotely from outside the store. More businesses are beginning to offer wireless access within the store. While it may not benefit the majority of customers, those with lower data packages or travellers will appreciate it. During my trip to Comic-Con, I only stopped at places that offered wireless access as my phone was in airplane mode to prevent roaming fees. Adapting to these new trends puts businesses ahead of the competition, as their customers begin to set expectations after experiencing them elsewhere. Social media is becoming bigger than ever to help diversify small businesses. Facebook is tailored more for local businesses compared to other networks. Avocobar currently has a successful Facebook page running where they post contests and promotions on a regular basis. Customers have the ability to directly engage and also leave reviews. If there are any problems, they can be resolved efficiently to create a harmonized relationship for repeat business. I asked a couple of the employees about their experience with the software. It was mutually praised for its simplicity and seamless operation. Whereas some systems at other fast food or formal restaurants involve multiple processes, this software is more user-friendly and intuitive. Even those who have not used tablets were able to master it quickly. Not only do these systems present a more professional look for consumers, it also provides a cleaner arrangement. Large bulky machines are replaced by small touch based units. Receipts can be emailed, saving on paper and printing costs. Simplicity in design is the current trend and now co-exists with physical storefront appearance. These are all small enhancements that can have a large impact. The future is bright with new technology such as iBeacons and NFC. Customers can be alerted of promotions as they pass by a store, or pull up specific information such as menu items and prices when nearby without having to connect to Wi-Fi. I look forward to seeing how small businesses adapt to new technology and continue to offer new experiences for customers to enjoy. I want to thank Avocobar for allowing me to take these photographs, and I wish Keni and the great people at Avocobar the best of success.